Having a regular bike fit will ensure you continue to cycle in your chosen discipline for years to come, avoiding any long term injuries and ensuring your bike fits your needs as your demands and body shape change over time. You can buy directly from the website shop and call or email to confirm a suitable date. Or give us a call to discuss your requirements and we can arrange in person. 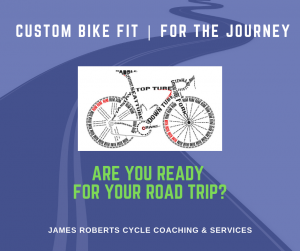 Want to order a bike fit as a gift? Email us the the details and we can email a voucher. Allow approx 90 minutes for the bike fit, bring your bike, shoes, usual cycling kit and a water bottle!